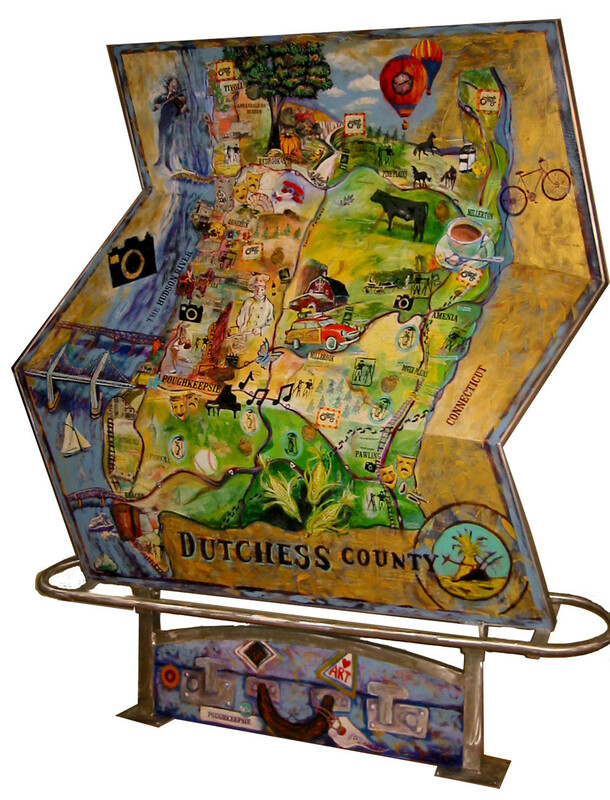 Won a bid through the Dutchess County Arts Council to create this for the Poughkeepsie Train Station. It is standing there today between the tracks and the lobby. A suitcase and map represent the travelor. The map highlights 140 places in Dutchess county of cultural and historical significance. Painted and collaged wood with steel edging and rail.